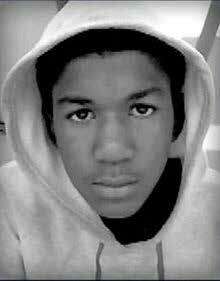 The Southern Workers Assembly (SWA), along will millions across the U.S. and internationally are outraged by the Sanford, Florida court’s no guilty verdict of George Zimmerman, the racial profiler, stalker and murderer of unarmed, and innocent young Trayvon Martin. This unjust verdict is part of a racist climate that has been intensified by the capitalist economic crisis that is attacking the entire working-class and scapegoating Blacks, oppressed people of color, women, immigrants, LGBTQ people and labor unions to divide the U.S. working-class. The U.S. South has been the bastion for racist hate crimes and not guilty court verdicts that continue to uphold the Dred Scott decision – that Blacks have no rights that whites are bound to respect. These deeply felt atrocities from racists and the courts, reinforced by the institutionalized racism in the economic, social and political system that affects working class Blacks and people of color at work and in society, can only begin to heal when the working-class carries out the mantra that An Injury to One is An Injury to All.